Bill Viola has come unstuck in time. ‘The most important thing I learned on Tralfamadore was that when a person dies he only appears to die. He is still very much alive in the past, so it is very silly for people to cry at his funeral. All moments, past, present and future, always have existed, always will exist. The Tralfamadorians can look at all the different moments just that way we can look at a stretch of the Rocky Mountains, for instance. They can see how permanent all the moments are, and they can look at any moment that interests them. It is just an illusion we have here on Earth that one moment follows another one, like beads on a string, and that once a moment is gone it is gone forever. Given his work with video as an artistic medium, it makes sense to see his realization that hours of unedited video are not interesting. It is the edits of the whole — albeit entirely arbitrary — that make that medium work. But how perceptive to see that shift from one “master” edit of a work to our “new media” world where everyone has a video editor in their pockets, and the re-mixing and re-purposing that is done with existing work constantly and by anyone. I am dwelling on his examples of music and art in other cultures as examples of changing use and perception of digital media. We are creating so much content every day, but are we creating the whole image, or just pieces of the jigsaw puzzle? What do we make of our lives, our culture, out of all these digital documents? This section of Dream Machines was, for me, the most thought-provoking — particularly given that our discussions have frequently touched on our children’s use of technology and that many of our group are teachers (if not directly involved in primary education). Yesterday, I linked to a Wired article from 2013 about “new” teaching methods — and their successes — that sounded very familiar: leave the students alone with the material and let them flourish. And as a parent, I’ve got two intelligent kids who both make great grades but have very different approaches and reactions to the delights of the American public school system. My daughter, in 6th grade, thrives on the structured subject-oriented approach, and naturally strives for approval and “the right way” to do things. My son, in 4th grade, despite his good grades, claims nothing but boredom in school. To me, his mind seems to work more like Nelson’s approach — I think, left to his own devices, my son would explore his areas of interest very deeply (or just play Pokémon all day). To the teachers in our group, how does the way you teach–and the ways the university requires you to teach–in a higher-ed setting differ from your personal visions of pedagogy? Is TLOS having an impact for you? Those of you with children in primary school levels, how does Nelson’s vision for technology in education and student independence relate to your child’s experience? What I find interesting is his dismissal of the hypertext web as we know it because it wasn’t his perfect vision of “transclusion” and attribution. His ideas in Computer Lib/Dream Machines influenced so many, yet Nelson remained so fixated on his own Rosebud Xanadu, he struggled to see the iterative progress towards his goal. As my good friend Voltaire wrote, “the perfect is the enemy of the good.” Also interesting in light of Engelbart’s insistence on iterative augmentation. 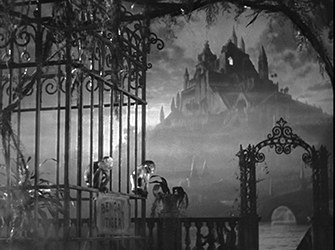 Given that Nelson named the project with a nod to Coleridge, and the immediate media-association of Citizen Kane, how apt, then, his disappointment when the chasms of reality break into our utopian pleasure-domes. Nelson’s term “Fantics,” bringing the idea of showmanship and presentation to all new media: our contemporary 24 hour news cycle, “video” as content over the written word/youtube “vlogs”, the responsive web across our many devices. The irony of a print publication called “Wired” and the context of the word “wired” in an ever more wireless world. Where does print fit in “new” media — but yet think of what digital desktop publishing has done for print. Is it okay to be forgotten? Moving from Coleridge’s Kubla Kahn to Shelly’s Ozymandias, I think there is a question of what (information) needs to/will be preserved. If the inanity of social media (Twitter, Faceook, our seminar blogs), has taught us anything, it is that not all data is information. Bush/Engelbart/Nelson’s vision(s) of everything at your fingertips grows exponentially more massive with each ULTRA-MEGA-SUPERbyte of daily data we create. What then can/should/will be forgotten? Look on my works, ye mighty, and despair. Ted Nelson said “Let the student control the sequence” forty years ago. What I take away from reading Engelbart’s “Augmenting Human Intellect” is not just his forethought and foresight into the future of computing, but his drive to make the world a better place. He focused not just on what we could do with computers, but why we should do it in the first place: to augment human intellect. His insistence on calling computers “artifacts” strikes me as insightful, too — it emphasizes the machine as a tool, a thing to be used for a purpose. But maybe most striking is his conviction that devoted time should be spent continually augmenting our collective intellect: each advancement should create opportunities for more advancement, an endless exponential augmentation. Reflecting on my own life, my job, my use of technology, I’m dwelling on how much of my time is spent doing and how little is spent on focused thinking of how and why I could do better. Continual self-improvement — and larger world communal-self imrpovement (augmentation!) — should be one of life’s biggest goals, even if I’m (we’re) not very good at it (yet). I propose that unemployment is not a disease, but the natural, healthy functioning of an advanced technological society. This week’s readings were fascinating in contemplating what the past-futurist’s sense of what we technology could do and also what we should not do. Mankind’s relationship — and work — with technology has become very much the symbiosis imagined by Wiener and Licklider, but have we heeded the warnings that Wiener in particular offered? Warning: naive utopian leftist political fantasies to follow. The ideal purpose of technology shouldn’t be to make bigger and better bombs, or more money for the already wealthy. It should be to make life on this planet more enjoyable, more sustainable, more equitable, and less nasty, brutish, and short. Bucky Fuller first imagined a world-wide connected power grid in the 1930s. It would bring cheap and robust electricity to the world, and encourage renewable energy sources — but Fuller’s very plausible idea has never left the realm and fantasy because of human politics and greed. Given the technological advances of the last century, and the vast resources created by it, why should anyone on this planet go hungry, or lack shelter, or basic medical care? And, to come back to the quote at the top of the post, why do we still use the unemployment rate as a major metric by which we judge the health of an economy? At the cocktail party of the future, people will still ask “what do you do?” But the answer won’t be “sit in a cubicle and wait for death.” What you do will actually be what you want to do to build a better and more satisfying life for yourself and your family, not what you are forced to do for food and shelter. We must make a great many changes in the way we live with other people. We must value leisure. We must turn the great leaders of business, of industry, of politics, into a state of mind in which they will consider the leisure of people as their business and not as something to be passed off as none of their business. I spent the last few days at the very enjoyable EdUI conference in Richmond, focused on the work and tools of higher-ed “web” professionals, where the opening speaker was Matt Novack, author of the Paleo-Future blog. Studying the history of visions of the future? Seems fitting to our seminar reading and discussions. Specifically, he brought up the Jetsons and their enduring cultural influence. There were only 24 original episodes of the Jetsons produced — one season- — and those first aired 50 years ago. 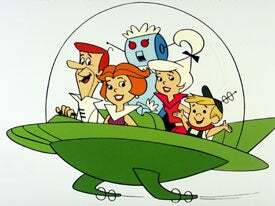 Although it was on the air for only one season, The Jetsons remains our most popular point of reference when discussing the future. And isn’t it time for a new and better vision of the future to take hold?